Those of you too young to remember the eighties missed out on something special. Yes, you can sneer at the dodgy haircuts, dodgier music and breeze block mobile phones, but we ageing Yuppies had things you can only imagine today. Like the freedom to roll up your jacket sleeves without losing your self-respect, going completely off-grid on holiday (no email! ), and being able to find contacts in seconds with something we called a Filofax. And all you needed to fine tune your engine was a feeler gauge and a couple of screwdrivers – not a laptop in sight! Things were much more simple back then, and so where the cars. Some of those cars were seriously quick. 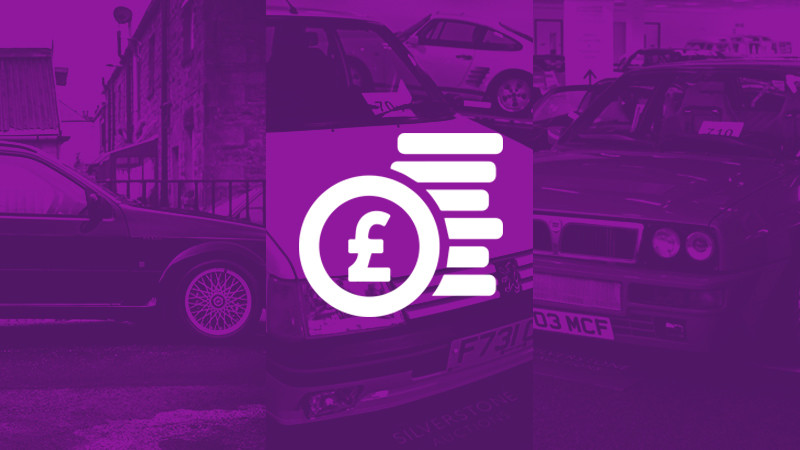 Now the cars that we lusted after in the eighties are capturing the imagination again – and this time, we can afford to insure them. Modern classics from the eighties are the hot ticket these days, and some are fetching record prices. So let’s take a look at five of the best cars from the best decade that have been making the headlines 30 years on. 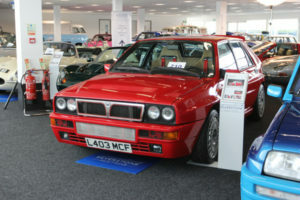 The Lancia Integrale holds the top spot in values for modern classics, but how long will it last? The mighty Lancia Delta Integrale was one of the first, and certainly the most successful, Group A Rally cars of the eighties and nineties, introduced after the demise of the monstrous Group B machines that caused so much controversy in eighties motor sport. The road-going version was an instant hit and today these rally-bred cars are attracting serious attention from collectors. Ex-works Abarth rally cars are fetching north of a quarter of a million pounds these days, but the road cars are not far behind with a limited edition 1992 Evo 1 Martini 6 selling for a record 134,000 Euros (£123,000 today) in Paris in February 2016. If ever there was a road-going performance saloon that screamed Eighties, it was the ‘Cossie’. Race versions completely dominated the BTCC in that era, and despite initial reservations from Ford dealers the Sierra super saloon sold out quickly. 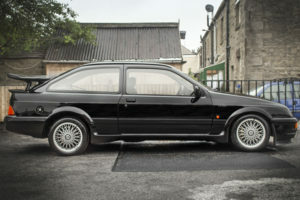 To qualify the Sierra Cosworth for racing, Ford had to build and sell 5,000 units, and to homologate later race car upgrades a further 500 specials were built, and it was this version, the RS500, that hit the headlines in 2017 when a low-mileage UK car sold for a record £114,750. As with many of the cars on our list, a motor sport heritage plays a big part in the demand among collectors for the highly desirable E30 version of the BMW M3. It was Touring Car racing that mainly drove the popularity of the eighties M3, although Group A rally cars did do well despite having only two-wheel drive. Tim Harvey’s iconic Labatt’s M3 BTCC race car sold earlier this year for over £145,000, but the road cars are regularly fetching more than £50,000. As with many of these classics, special versions and limited editions affect prices paid, and the record is current held in the UK by a 1990 Sport Evolution which sold for £78,400. The Capri of the seventies and eighties is gaining a lot of interest among collectors these days, and the ultimate evolution of Ford’s ‘everyman’ sports car was, of course, the fabulous 280 ‘Brooklands’. The Capri was Ford’s UK interpretation of its American cousin, the Mustang. With nearly 2 million sold during its lifespan from 1969 until 1986, the Capri lived up to all expectations. The limited-edition 280 in Brooklands Green was the last version to roll off the production line in 1986 and it continued to appear in showrooms until 1989 until almost all the 1,038 cars built were sold. In 2017 an immaculate, low-mileage Capri 280 Brooklands smashed all records, selling for £55,125, establishing the 280 as a truly desirable classic. Arguably the ultimate hot hatch of the Eighties, the Peugeot 205 GTI has one advantage over its main rival, the VW Golf GTi – rallying. Thanks to the popularity among rally fans in the eighties of the explosive 205 T16 Group B rally car, and helped by Peugeot’s support for one-make challenge motor sport categories in Europe, the 205 developed a huge following. 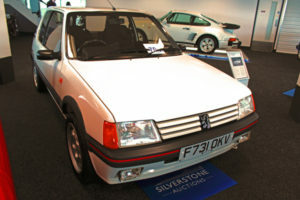 The 205 came in two versions – the 1.6 GTI and the later 1.9 GTI. Awarded Car Magazine’s “Car of the Decade” in 1990, the 128bhp 1.9 version is the one to have according to collectors, although the earlier 1.6 version is gathering pace in the popularity stakes. A nearly mint 1989 1.9 GTI with less than 6,000 miles on the clock made international headlines in 2017 when it sold for an incredible £38,480, making it one of the most expensive eighties hot-hatches ever.